One again, the non-invasive fat removal procedure CoolSculpting is being positively portrayed in the news. This time in the popular blog MomTrends. The writer underwent and documented the same CoolSculpting treatment that we offer at Sensational Skin. In the article the author Kate writes about her personal results from doing CoolSculpting. After three pregnancies Kate wanted to get rid of her belly fat. She also decided to get the procedure done on her inner thighs. The results were amazing! So readers got a visual, the writer posted before and after pictures. Before the procedure, her inner thighs were almost touching. After the procedure, there was a noticeable gap. Not only did it work on her thighs, but also on her stomach. She went in with pooch of belly fat, but after just eight weeks the pooch was gone! The writer was thrilled with the results. She went on to say the best parts were that there was no scars, no recovery time, and that she could read during the procedure. Kate also loved that she didn’t have to change her diet, or exercise routine. If you still have some doubt, there’s more testimonials from real people that have gone through CoolSculpting.  If you’re interested in CoolSculpting, contact us! Our experienced doctors at Sensational Skin can answer any questions you might have about this non-invasive fat removal procedure.